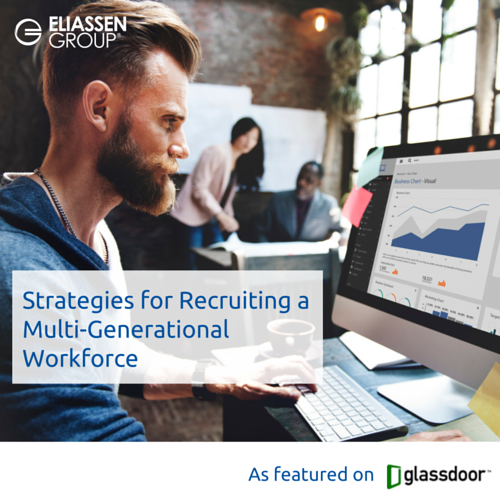 In order for companies to succeed and become market leaders, it’s critical to take a holistic approach to the challenge of recruiting and retaining great talent that not only considers the Millennial generation but looks at the needs of each generation of workers. Clearly, what attracts a 25-year old software developer to a long-term role is not the same as what attracts a 47-year old VP of Engineering to a company and career opportunity. Now, let’s take this one step further and acknowledge that what might attract someone of any generation to a particular career opportunity is not necessarily what will keep them at that same company longer term. After all, that Millennial may be tempted to move on after a year without any strong reasons to stay. And that seasoned VP will likely be highly sought after as she builds a strong network and a personal brand. So how do you develop a recruiting strategy that attracts professionals at all levels and then build programs to retain great employees? The following article, featured on the Glassdoor blog, is the first in our series that will help you think more broadly about these efforts and develop programs that will appeal to prospective candidates, as well as your existing workforce.